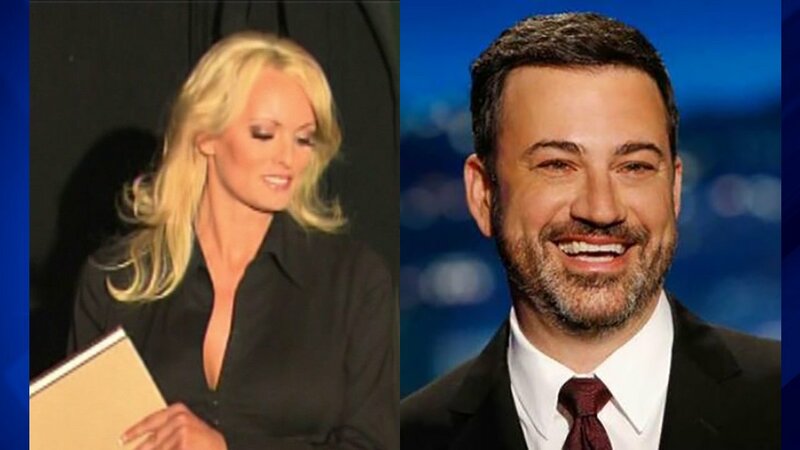 Stormy Daniels will appear on Jimmy Kimmel's show on Tuesday -- the night of Donald Trump's State of the Union speech. ABC's Jimmy Kimmel is bringing adult film star Stormy Daniels on his show next Tuesday on the night of President Donald Trump's State of the Union speech. Daniels is in the news following reports that she had an affair with the future president in 2006. The Wall Street Journal reported that Trump's lawyer arranged a payment to Daniels to prevent her from talking about the alleged encounter before the 2016 presidential election. Kimmel announced the booking via Twitter. He wrote that he had many questions. ABC on Friday confirmed the booking.